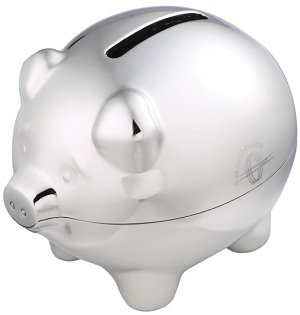 Chrome Piggy Bank - Express Corporate - Promotional Products - Delivered Fast! A great gift; ideal for the banking industry or for any office collections. Made from quality chrome-plated metal. Price includes engraving to one position.